After a longer writing break I’m back with a new article!… from Thailand. Because after the not even so long and hard writing phase of my bachelor thesis on „Political measures against food waste – comparison of policies in France and Switzerland“ I flew to Bangkok to start my exchange semester there. Before I decided to go to Bangkok, I asked myself this question: Can you also live Zero Waste there? After my first week it turns out: Yes, Zero Waste works in Thailand – albeit with certain restrictions, which are no bigger than those which Zero Wasters encounter even in more remote areas in Germany and Austria. This article outlines my first experiences with zero waste and sustainable living in Thailand, especially Bangkok, where my university is located. I will come to specific shopping opportunities in more posts. Before I went to Thailand, I – like for any other trip – created a Zero Waste packing list and collected the necessary items. They take up no more space in the suitcase than a pair of shoes and are therefore easy to carry. Below you can see my general list, plus special items for Thailand. If you go out to eat a lot, e.g. at street markets: Large stainless steel tin (or biscuit tin) is a real must-have! I sticked to this packing list and took almost all the items I needed with me. In the suitcase this is no problem at all – everything went through the security checks. From the things mentioned above I only took the cloth napkin and (important!) the reusable To-Go cup into my hand luggage to use it for drinking on the plane. What didn’t fit in was a 1l glass bottle and a large jar for my snack. Unfortunately I couldn’t find glass bottles (except for alcoholic drinks, sesame oil and soy sauce), but I bought a 1l thermos bottle for hot and cold drinks at a market in the city, which is made of stainless steel inside. I can only recommend that you create your own packing list or adapt the above to your needs and take with you what fits in your suitcase! This way you don’t have to buy so many new things, you can use your own things sensibly and in the end you don’t come home with all the new junk you don’t really need. I only have to make a zero waste exception for sun cream. I bought three large packs of organic cream with SPF 30 and also took it with me in my suitcase. Because so far I couldn’t find a Zero Waste alternative to that either in Austria or here. However, I add textile sun protection whenever possible. For Bangkok itself, sunscreen is not necessary on a daily basis because the smog is stronger than expected and the sunlight is thus weakened. You also spend more time there in buildings and parks there. At six in the morning I landed at Suvarnabhumi Airport. First I filled my drinking bottle with water and was surprised that there are water dispensers with drinking water. The water at the airport doesn’t taste very good, but it didn’t harm me either. In front of our accommodation there is also a reverse osmosis machine (photo), where you can have drinking water filled into your own bottle for only 2 Bath per litre (1 Euro = approx. 36 Bath). In the city there are also water dispensers, where the water partly tastes better, partly worse – but with good taste it is safe to drink! You can also have water delivered in returnable containers, which is an option for longer stays. So waste-free water drinking – which I regarded as the biggest problem and from which all the people with whom I talked about this issue have strongly discouraged me („there you have to buy plastic bottles, the Thais also do this and is cheap anyway“) – is not a problem in Bangkok. Nevertheless I recommend you to have your own water filter with you to be independent. This is especially important if you want to leave the city. => I will go into this topic in more detail in my February mail „Zero Waste Drinking Water“. Food is available on every street corner in Thailand! If you don’t cook yourself, you have a lot of possibilities to eat cheaply on the street as well as in restaurants. But be careful: If you just order, the food on the street often comes in several layers of plastic. This means, for example, that when you order „Mango Sticky Rice“, the mango, rice and sauce are packed in a separate bag and all that comes in a large plastic bag with separately packed plastic cutlery. Tastes and looks much better than the ones plastic bags: This is how I order my Mango Sticky Rice! With a cookie or stainless steel tin, the words „mai sai tung“ (please without plastic bag) as well as supporting gestures with hands and feet you can get everything from pad Thai and rice dishes to desserts into your own tin even without waste. In restaurants, I simply look at the neighbors‘ plates to rule out possible sources of waste and remove any napkins or paper table sets from the table before I start eating. And don’t forget your returnable To-Go cup (+ a small teaspoon) on the way! You can drink fresh fruit juices and smoothies, add desserts and spoon them. Fresh fruit, vegetables & herbs in abundance are available unpacked on the market! If you cook yourself, I can only recommend the markets to you. You don’t even have to visit a big one: At almost every corner market people sell fresh fruit, vegetables, herbs and chili pastes. At bigger markets you will also find many animals (often still alive). In addition, some small shops sell rice from big sacks – almost like in an unpacked shop! Eggs can also be bought everywhere from Zero Waste, you can also get soy milk on the street – unfortunately I couldn’t find coconut milk yet. After all, you get coconut water to drink on the way. Unfortunately the waste separation system in Thailand is like in many other countries of this world not very well developed. At least in my accommodation in Bangkok everything is dumped into the same container. I try to keep organic waste, for example by peeling fruit, to a minimum and take the remaining remains with me to my university, where waste separation is more precisely done. When you stay very long in a country, you can compost the remainders also in a garden and/or on a balcony (which I did not try out so far for lack of composter yet). Soy sauce, sesame oil and alcohol are also available in smaller shops in glass (unfortunately not in deposit) bottles. Recycle also these if possible. You can return bottles with lids at Better Moon x Refill Station in Sukhumvit (BTS Station Nut). So you can live in Thailand Zero Waste, no matter if you cook or eat yourself. Of course, it is necessary to adapt consumption to regional conditions: There aren’t all the products I want, such as wholemeal flour and rice, coconut milk without sugar, spices and soybeans. What about sustainable consumption in general? Unfortunately, I cannot say anything about organic and fair trade products yet, as I have not yet been to the relevant shops or organic markets. So far, however, I have noticed that the normal products are not organic and there is no common organic seal in Thailand. Most organically grown food is produced for export anyway. Regarding regionality I clearly have to rethink here, because the ingredients, which are exotic in Europe, are regional here. So I take the opportunity to buy pineapples, bananas, sugar peas and other exotic fruits and vegetables. The diet in Thailand can be balanced and fit for health and fitness, depending on how you eat. Despite all the streetfood I like to cook myself, because there I have control over the ingredients in my food. Especially with fried rice or fried noodles, make sure that the dishes do not swim in oil and avoid fried foods! Frying oil has often been used far too often. There is even a rumour that some streetfood stalls use the waste oil from fast food chains like McDonalds and BurgerKing – which unfortunately also exist in Thailand. If possible, order without the flavour enhancer MSG and without sugar. Thais like to add sugar to every dish and most of the time there is even sugar on the table instead of salt to season spicy dishes – which is not common in my home country at all! If you eat a lot of fresh herbs as well as short cooked fruits and vegetables, you can get to know new varieties and also secure your vitamin supply the best. If possible, use whole rice instead of white rice. Unfortunately, I have never been able to buy whole grain rice or black rice Zero Waste – but I am sure that I can still find it. If you consume animal products, you can definitely consume enough protein. However, I took organic rice and pea protein powder (vegan) in large paper packages from home. That’s not completely zero waste, but it’s the best protein supply solution for me. One more word about different diets: As on every journey I eat vegetarian (no meat, no fish, no other seafood), even if for a comparatively long period of five months. Surprisingly, in Thailand this is much more complicated than expected! Almost all dishes contain meat or seafood in some form. They are often seasoned with oyster or fish sauce. Ask at the Streetfood booth or in the restaurant for „mangsawirat“ dishes. The selection is unfortunately often very limited, which is why I sometimes simply take something from a dish (e.g. when there are events) and do not put the meat/fish/shrimp pieces on my plate. But usually, I try to order truly „mangsawirat“ dishes. As a vegan you only have to pay attention to the egg freedom of the dishes, which is not easy. Eggs of some kind are added to almost every dish. After all, they can be identified more clearly than the often very small pieces of meat and the unrecognizable fish sauce. When placing your order, state that you live „gin jae“ (more info), which translates to vegan. For inexplicable reasons, some shoes are even welded in plastic. Clothing in Thailand is often cheaper than in our country: Always ask yourself if you really need this piece of clothing and if you would buy it regardless of the cheap price! In Thailand you can buy everything, and you can buy everything cheap. That doesn’t mean for me as a conscious consumer that I should do it! Like at home with clothes, shoes and the like, I always first ask whether I really need something or whether I already have it. The same applies to decorative items and cheap odds and ends. If you really need something urgently, buy it! If not, leave it! Sustainable production of clothing, shoes etc. is never guaranteed. I always smell all products for the time being: chemical stench indicates chemicals contained. In addition, I avoid going to malls unnecessarily and wanting to buy even more. Even if many people like to do this, there is so much more to discover in Bangkok than the big chains with cheap fashion, shoes or electronic products that sell the same stuff all over the world. Whole dishes are packed in plastic bags! In general people in Thailand are quite uncritical with the material plastic and with sustainability. I’ve seen the craziest things in plastic bags. Even hot food is simply wrapped in them! In addition there is always an extra bag with handles. And drinks are also served with extra shrink-wrapped straws. As mentioned above, a friendly „mai sai tung“ helps here. In my experience, people look at you much less funny than in Greece (where my Zero Waste life began). As for example the Better Moon x Refill Store, the Zero Waste Association at my university and Zero Waste Thailand show, a rethinking is already taking place. However, as in Central Europe, this has not yet reached the broad mass of the population. I think much of this is due to a lack of knowledge about the fatal consequences of this uncritical use of plastics and other disposable materials. However, not only education at school, but in my opinion also regulation by the state should stop the flood of plastic. Because the structures for a low-waste life with the many markets and fresh food would definitely exist! So far I’m surprised by the Zero Waste life in Thailand! Without making too many compromises, I can continue my waste-free lifestyle here. People are not offensively in the way of your waste-free lifestyle, but there is still a lot of educational work to be done so that in Bangkok and Thailand a rethinking in a broader population with regard to waste avoidance and sustainable consumption takes place. 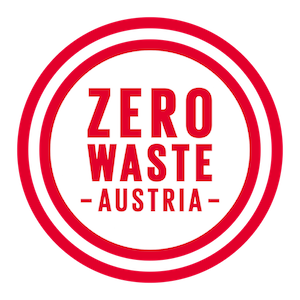 In the next article for Zero Waste Austria I will deal specifically with waste-free drinking water supply at home, in Europe and on the road. 1] After the opening of the note, I will make my thesis accessible to interested readers here if possible!